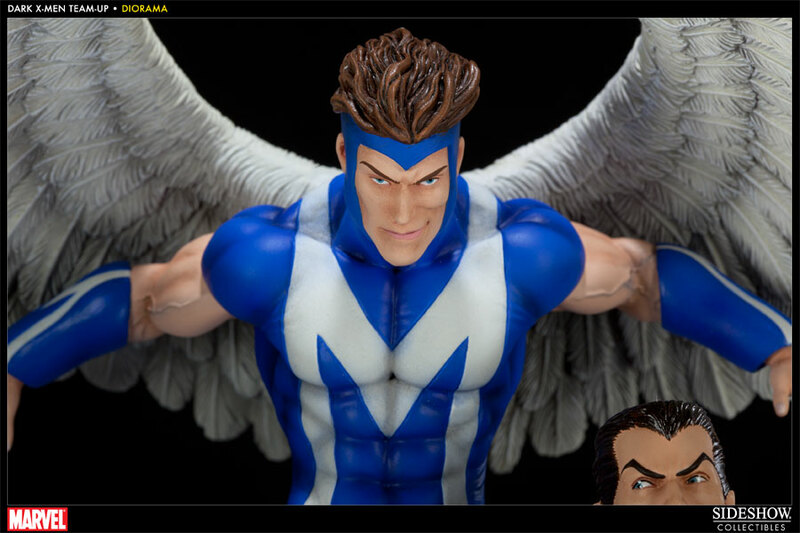 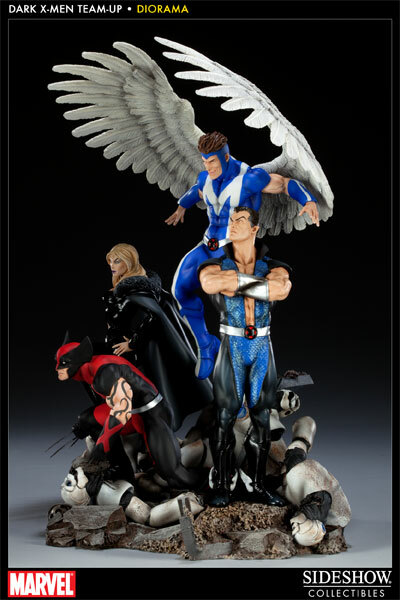 Sideshow Collectibles is proud to announce our next entry in the Marvel Diorama series, Dark X-Men. 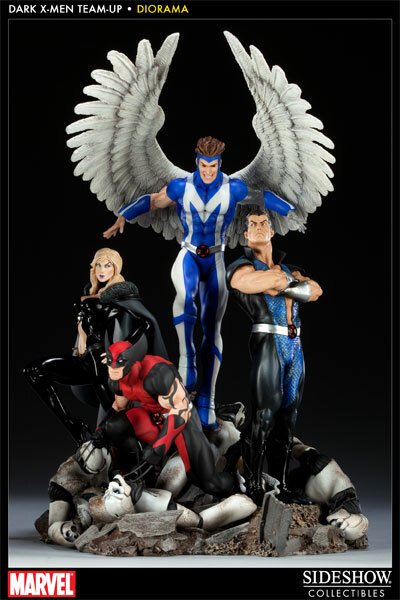 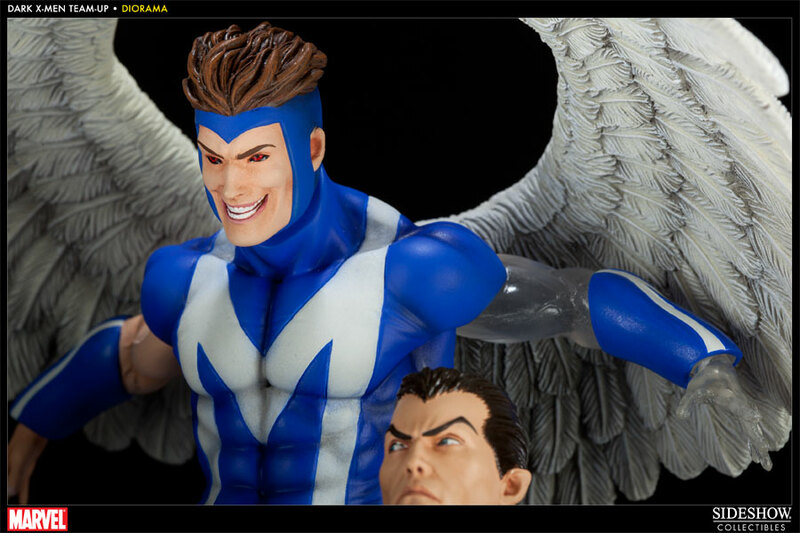 Portraying the members of Osborn's team of X-Men in detailed 1:8th scale; each piece is individually painted and finished with its own unique quality and detail that is the trademark of a handcrafted Sideshow Collectibles product. 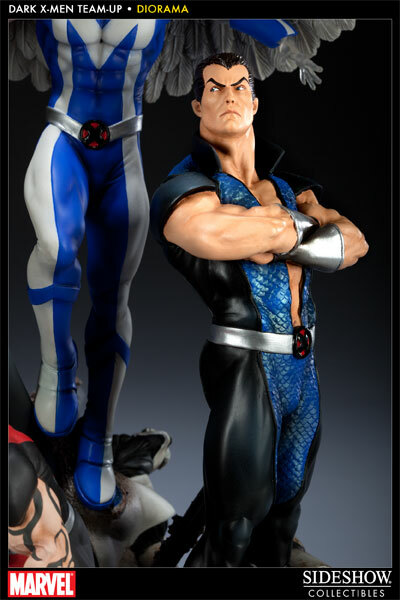 Standing approximately 16 inches tall, the diorama features multiple Mimic display options, including an interchangeable Iceman arm, and a switch out portrait with Cyclops' glowing red eyes. 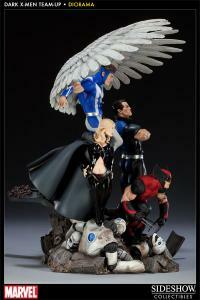 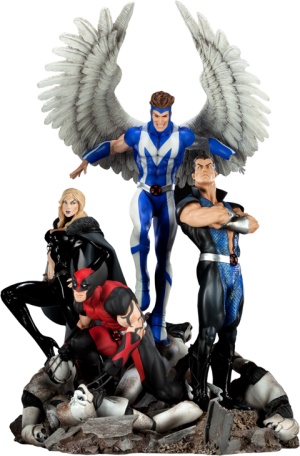 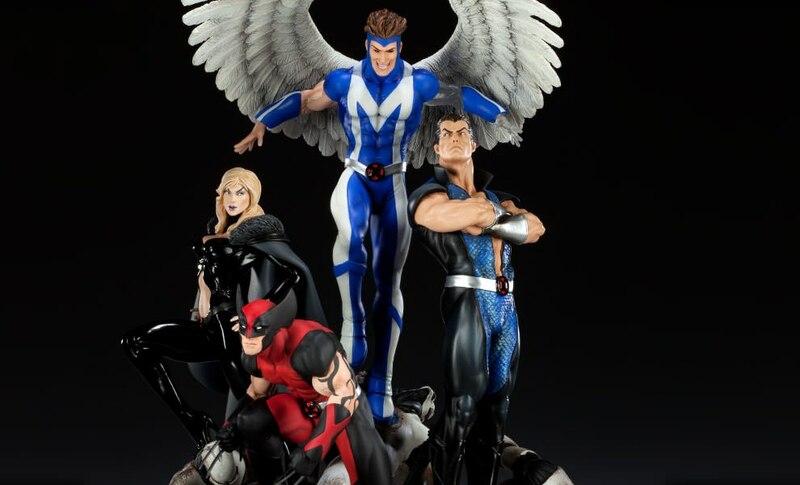 The Dark X-Men Diorama makes an outstanding addition for any Marvel enthusiast. 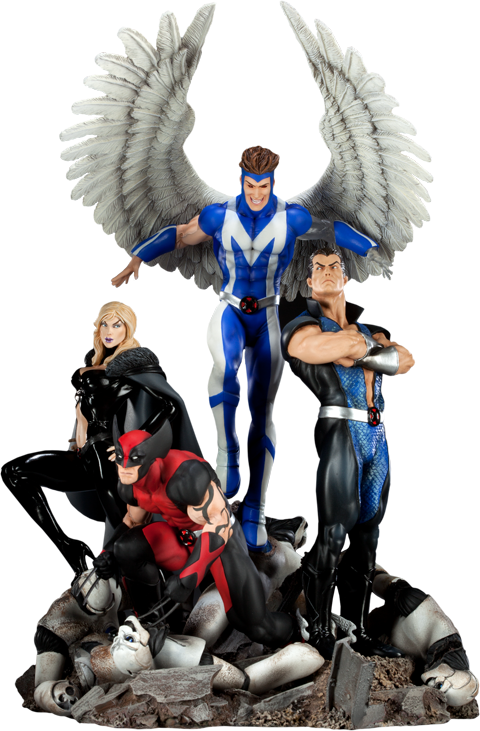 I received my Dark X-men Exclusive Version Diorama this week and I have to say that it is AWESOME!!!. 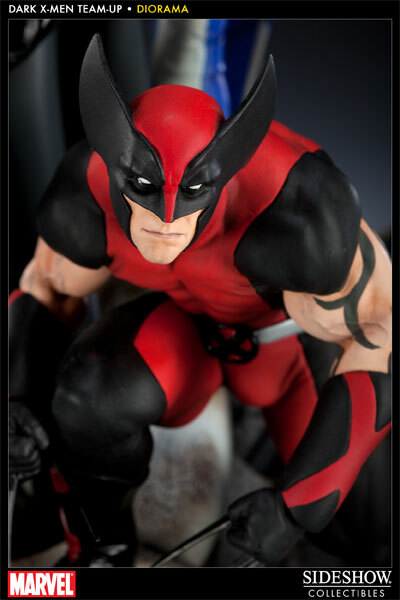 Super great piece the alternate heads for Daken and Mimic are super cool additions. 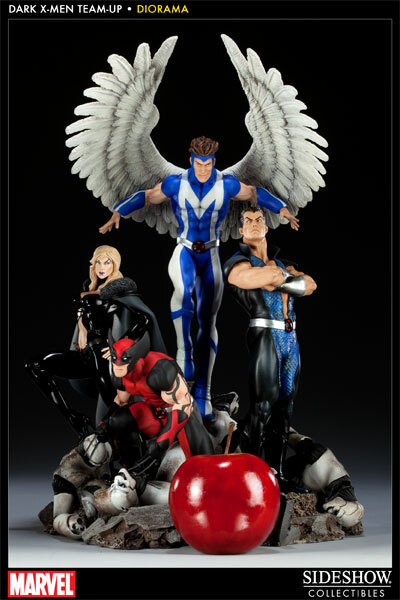 The statues are very detailed and perfected in the paint and sculpting. 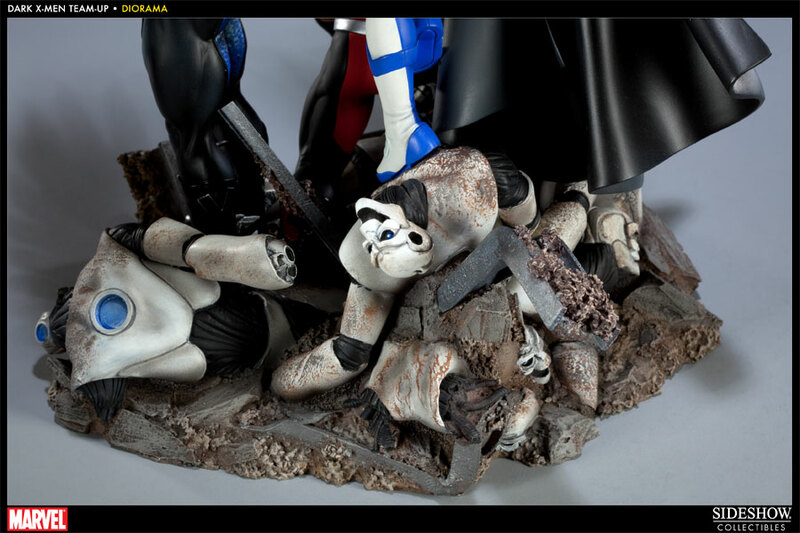 Great piece to own in your collection.